Arsenal will be without Alex Song and Laurent Koiscielny for Wednesday night's FA Cup fifth round replay against Leyton Orient through injury. 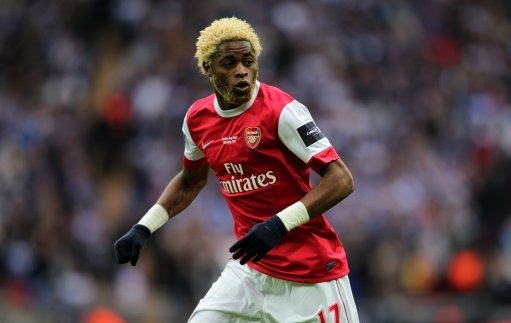 Song finished the Carling Cup final with a knee injury but he should return for the Gunner's European clash with Barcelona a week today. He could be in contention for a return to the side on Saturday but Arsene Wenger will make a decision on whether he will face Sunderland Friday. A minor hamstring injury has ruled Koscielny of the FA Cup replay. Despite boss Arsene Wenger telling the media Wojciech Szczesny would retain his place in goal for tomorrow night's game, the Frenchman has now had a change of heart and Manuel Almunia will start in goal. Abou Diaby is in contention to return to the starting line up after missing out on a place in Sunday's squad. "Alex Song has a knee problem as well. From his scan we had good news, it is only blood from a kick on the outside of his knee. "He is out for Leyton Orient and has a very small chance for Saturday. But he has a good chance for Barcelona. "Koscielny has a tight hamstring. There is a little bit of fatigue in there aswell so we will give him a breather. "Almunia needs games so he will play but Wojciech is alright and will be on the bench. "Diaby was not in the squad on Sunday. I was cautious with him. He has missed many games this season and I did not want to take a gamble with the intensity of a cup final. He will play on Wednesday night."